I’ve always had some anxiety about the journey to Iran. Not because I’m a stranger, but because this place is half of me, and we know each other too well. My mother has been dragging me to Shiraz my whole life. When I was a kid, I loved it, chasing snakes around the garden with my cousins. As a teenager, I grew to resent being here on my summer holidays, as I imagined my friends chasing girls in bikinis on Mediterranean beaches. The last time I was here, seven years ago, I cursed my luck at the timing, just days after I had met Erika, the girl who would later be my wife. Yet this trip will be different. Erika is coming with me, and it will be a chance to see the country anew, through her eyes. I’ve looked forward to all the things she would experience for the first time: meeting my family and spending evenings in their gardens under pomegranate and fig trees, covering up in public and letting her hair down in private, and meeting the eyes of strangers in the street who are keen to practice their English. 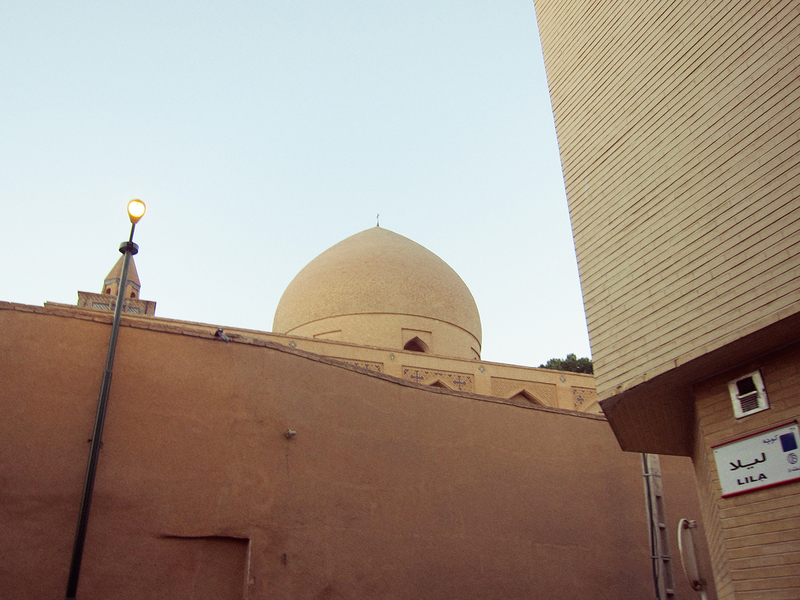 You might have heard of Shiraz, in the south of Iran. It’s the Persian city of the imagination, wine, and poetry; an association with the arts stills lends the place an air of romanticism. Though Shirazis are famous for a laid-back approach to work and life, the city has somehow managed to double in size since I was last here in 2006. Rows of tower blocks now line the river and the city’s mountainous fringe, inspired by the many millions of 20- or 30-somethings who have gotten married, left home, and needed to find apartments of their own. They are the “’60s generation,” born in that decade of the country’s Shamsi calendar, the result of a baby boom in the years after the revolution. And like their namesakes in the West before them, they, too, are challenging social norms and the conservative attitudes of those in power. spectacular than any I’d seen in the “Islamic world” then or since. This journey will be the first time I’ve traveled the 800 kilometers — or indeed, anywhere in Iran — without my watchful mother. It will also give me time to reconnect with my cousin Arash, who will be driving us. He has rarely risen before sunset in the few days I’ve been in the country, spending the evenings cruising the streets in his gray Peugeot 406. Making a concession to the eight-hour drive ahead, Arash wakes an hour earlier than usual, and, after a few minutes reassuring our mothers that we will take care at night along some of the world’s most dangerous roads, we eventually make our way as the light begins to fade. Taking the highway out of the city, we pass what will be the largest mall in the Middle East — built in anticipation of sanctions being eased — and hook a sharp left to Ghalat, a small town in the hills with a climate perfect for growing grapes and, coincidentally, cannabis. The latter will help smooth our passage. In the moonlight, a wave of petrol drifts between the sycamore trees, and Erika notices a puddle growing under the Peugeot. I begin thinking of those “omens” my mother warned of as she and her sister jumped in front of the car as their two firstborns were about to leave. Perhaps we went a step too far when we agreed to buy the weed, breaking the law after only 20 minutes on the road? “Maybe we should just turn around and go home,” I suggest, worried that our carriage will burst into flames if we push our luck any further. Another 10 stressful minutes pass before “he” eventually arrives. As we trade Iranian rials for weed, our man offers his opinion on the leak: “You must have overfilled the tank.” Then he leaves us with the choice of calling the Iranian version of the AA [Automobile Association] or winding our windows down while we burn off the excess. We pick the lesser of the two evils and slowly roll through the winding streets of the old town. The car slows to reveal a line of light coming from an open door. “It’s a mangal, an opium den,” my cousin explains. “The door’s open, so it means we can go in. Do you want to try?” I survey the blackened walls and worn carpets inside and wave the offer away. We head for the highway. Our passage is framed on either side by the Zagros Mountains, the silver moonlight spelling out songlines from their silhouettes. Spooked from waiting for the weed, we don’t speak for a good 15 minutes. Instead, we settle into a rhythm, slowing every 50 kilometers to be waived through checkpoints set up to intercept heroin on its way across the Silk Road and beyond. I notice the roads are now lined with Peugeots in place of the once ubiquitous Paykans. Driving etiquette, the lack of which was once seen as an expression — or symptom — of despair, seems to have improved, too. People wear seatbelts now and obey the direction of traffic. I wonder if it’s evidence of greater hope since Rouhani’s election. 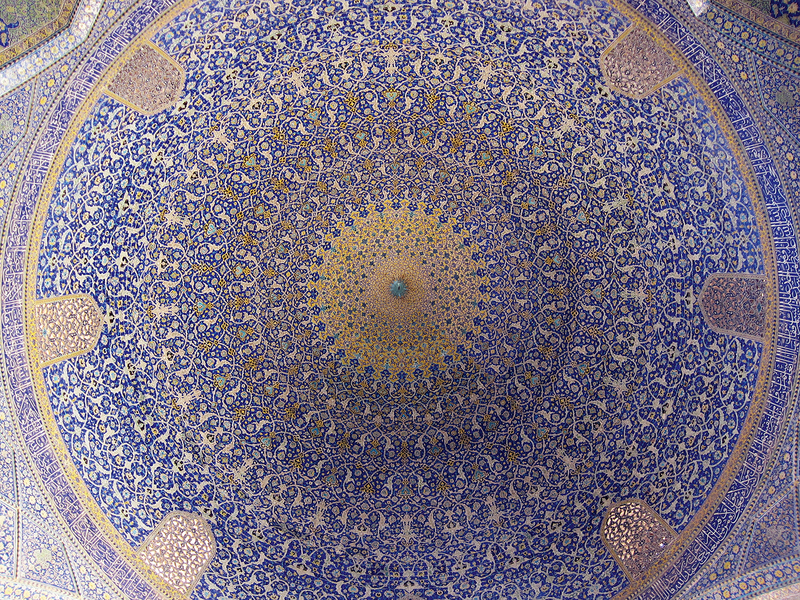 We stop only for roadside samovars and their cups of sugary black tea, eventually arriving at 4 AM at Esfahan’s storied Abbasi Hotel, an opulently restored 17th-century caravanserai. 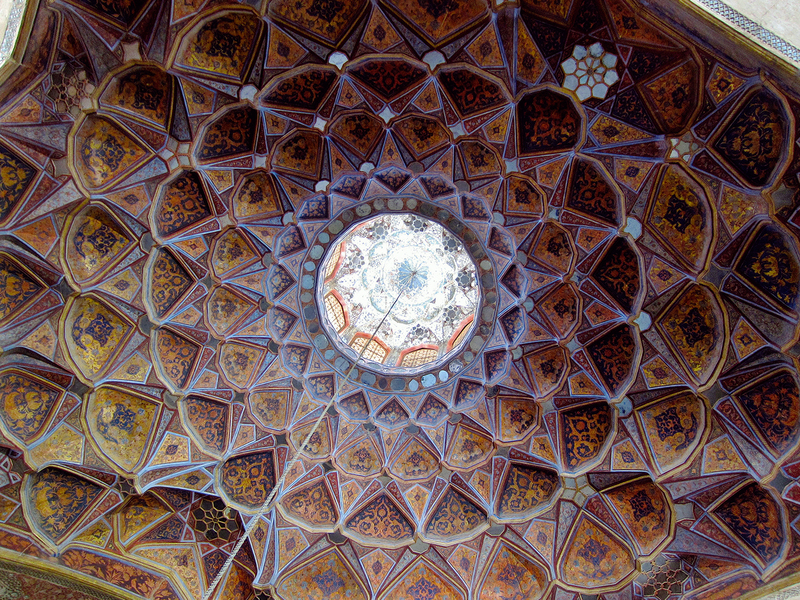 The next day, knowing that Arash won’t wake until late afternoon, Erika and I make our way alone to Naghsh-e Jahan, the large square in the center of the city. Once a racetrack for horses and chariots watched by Safavid Shahs under the high awnings of the Ali Qapu palace, it remains the second-largest square in the world after Tiananmen. Within it, at intervals defined by the golden ratio, sit some of the most impressive buildings in the Middle East. We take the scenic route, stopping at the palaces of Chehel Sotoun (“Forty columns,” named for the way its 20 wooden columns are doubled by their reflection in the long pool at the building’s front), and Hasht Behesht, “The Palace of Eight Paradises.” The city seems much greener than I remember, its quarters interconnecting via corridors lined with citrus trees. Taking shade from the midday sun under a willow by Hasht Behesht, I begin to recognize the garden’s arrangement — tulips and roses bordered by cypress and maples — as familiar from the Persian carpets that have come and gone in my life. On the pavement, we take note of the black chadors the women wear as a sign of Esfahan being more conservative than laissez-faire Shiraz. Also, the locals pay less attention, often not giving us a second glance, if at all. 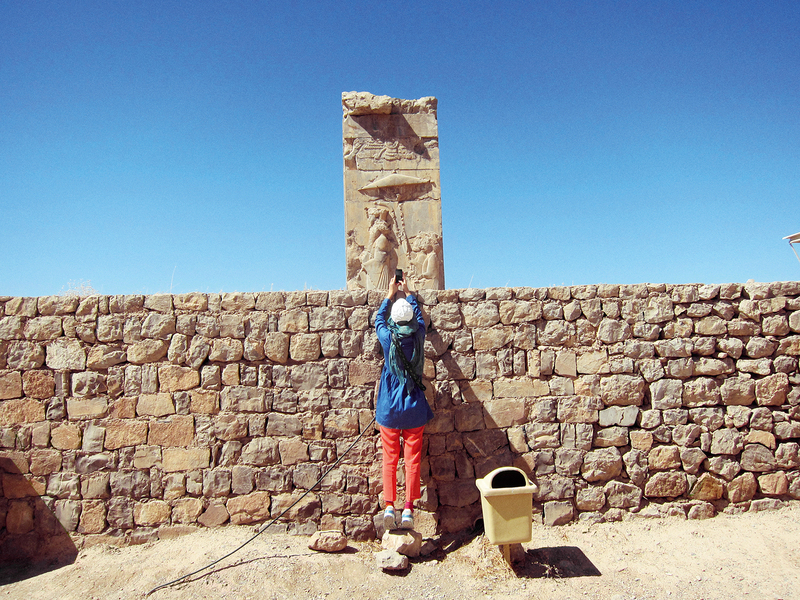 Esfahanis are used to seeing tourists, and we easily spot Germans, Swedes, and Japanese — citizens of countries for which an Iranian visa can be obtained on arrival — with their tour guides and Canon cameras. 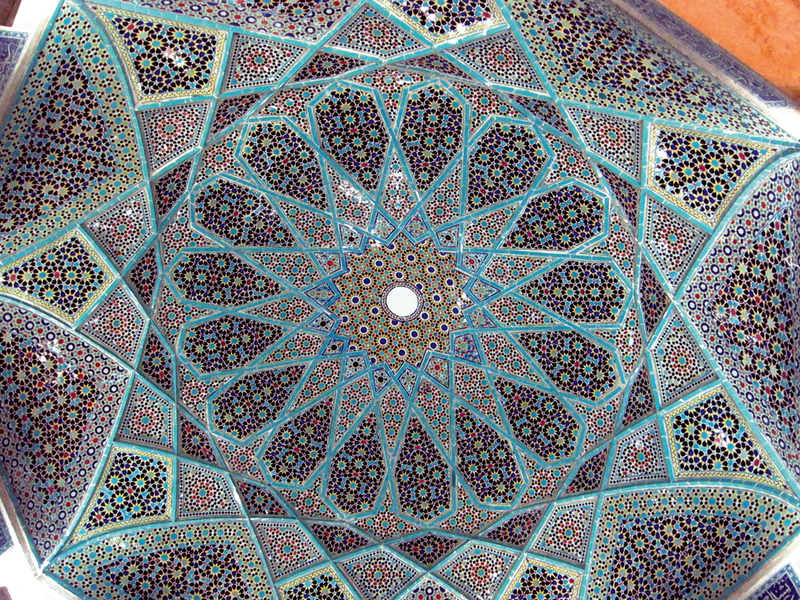 Yet inside the grand Friday Mosque, we find a backpack left behind by a group of girls wearing Versace-esque scarfs over buns of hair, their figures visible through tight manteaux — a uniform of the liberal Iranian middle class — and are surprised when its owner returns and thanks us with a grazie. After handing back the bag, we weave our way through the corridors and arches of the mosque, admiring the thousands of blue tiles where floral and vegetal motifs are multiplied to dazzle the viewer with the variety of the natural world, the sacred geometry bringing to mind an azure galaxy of infinite fractals. As we turn to leave, a young mullah stretches out his hand to offer us chocolate. “If you have any questions about Islam, or just want to sit and have a chat, I’m over here,” he offers in perfect English, pointing to a stone bench in the shade of an arch. You get used to seeing mullahs in Iran. Or to be honest, avoiding them. Once, I saw a family leave full plates of food when one sat beside them at a restaurant. But this guy was different. His neatly cropped beard and cuddly cheeks gave him the disposition of a handsome bear, no doubt stationed in this tourist hotspot as a typically idiosyncratic form of diplomacy by the regime. I wondered what to ask. What inspired him to give his life to God? 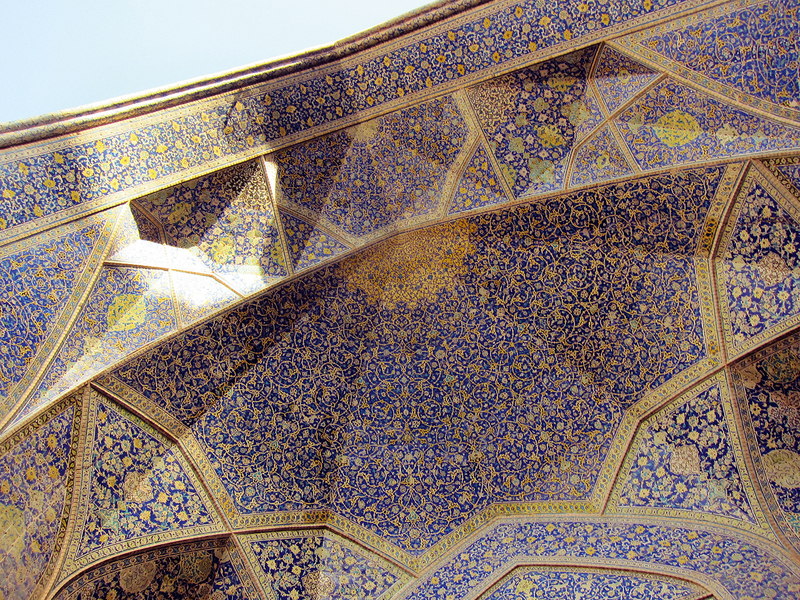 How can the geometry of a mosque’s architecture be considered sacred? And how can he justify the imprisonment of hundreds of young Iranians for contesting the 2009 election results? My stomach rumbled. “Can you recommend a nice restaurant?” was all I could muster. We eat kebabs and an Esfahani biryani before heading back to our hotel, where we meet my cousin, who has just awoken. We sit in the courtyard beside a white mulberry tree as the sun begins to set. Jasmine wafts through the crowd of Iranian and international travelers sipping hibiscus and tamarind tea, and slurping spoonfuls of ash, a spinach and noodle soup the hotel is famous for. Melancholic Persian verses set to the plucked strings of a tar weave their way through the courtyard speakers, set to a beat of water trickling from the fountains. I think to myself that this must be the most pleasant public space in Iran. I remember my aunt reminiscing about a nightclub on the hotel’s rooftop when she honeymooned here in the ’70s. After a hot day of sightseeing, the bed seems much more inviting. We bid good night to Arash, who has made a connection on Grindr and has his own plans for the evening. We see him next in the lobby the following morning. He looks like he hasn’t gotten much sleep. “You wouldn’t believe it. The river has run dry!” he says. One of Esfahan’s defining features is the wide river flowing under the Si-o-Se Pol bridge, whose 33 floodlit arches are one of Iran’s most iconic scenes. Imagine Paris without the Seine. Arash says, “Last night my friend told me the river’s been diverted to Yazd!” In disbelief, I ask the doorman, who shakes his head and says they’ve diverted it to farmland nearby to address the country’s food shortages. A taxi driver later that day blames it on the Natanz nuclear reactor to the city’s north. We decide then it will be our last day in Esfahan, and in the midday sun we head to the shade of Naghsh-e Jahan’s bazaar for souvenirs. Earlier in the day, compared with our previous visit, there is even more to see and hear. Corridors echo with the sound of copper sheets being hammered into pots and pans. 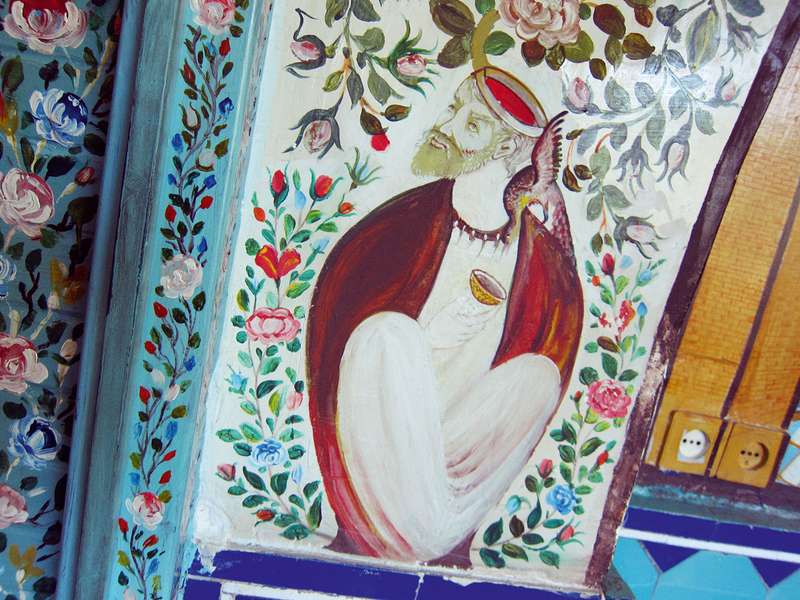 Long stretches of the bazaar are lined with shops selling delicately painted turquoise vases and plates. Lacquered bronze and camel bone boxes are decorated with scenes from the Shahnameh painted in miniature. We pick up a bag of cumin seeds from the country’s Kurdish north and a bundle of esphand — Syrian rue seeds burnt to ward off the “evil eye”— and check out of the bazaar, the hotel, and the city beyond. In a country already marked by the extreme contrasts between the limits of public life and the permissiveness of the private — where families have soundproofed their basements so both parents and their kids can hold parties without the police knocking on the doors demanding bribes, as bandage dresses mingle with black-market Russian vodka — Arash’s bipolar universe took me by surprise. His was another divide, between the stifling sun of the day and the liberating breeze of the night. Though he kept the hours of a vampire, he nego­tiated society as its ghost. Cocooned in his car, he was free to imagine himself elsewhere; a club in Ibiza, the streets of LA, or the London he knows so well. Hours pass in comfortable, compassionate silence, interrupted only by the overturned cars and lorries bleeding oil and fire, which appear with worrying regularity. When the Peugeot’s odometer ticks 500,000 kilometers just after midnight, we slow at a rare bend in the road. “This car’s been to the moon and back,” Arash beams proudly. We get out and stretch our legs to celebrate. Later, as we near Shiraz, Arash suddenly hooks a left and tall cypress trees rise up on our sides. I know this road. 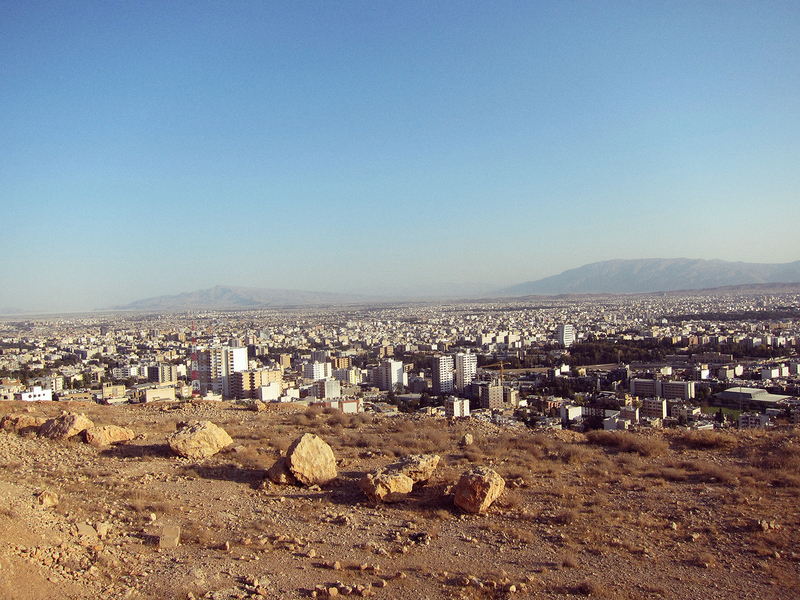 I’ve been on it every time I’ve been to Iran, but usually in the blinding August light. 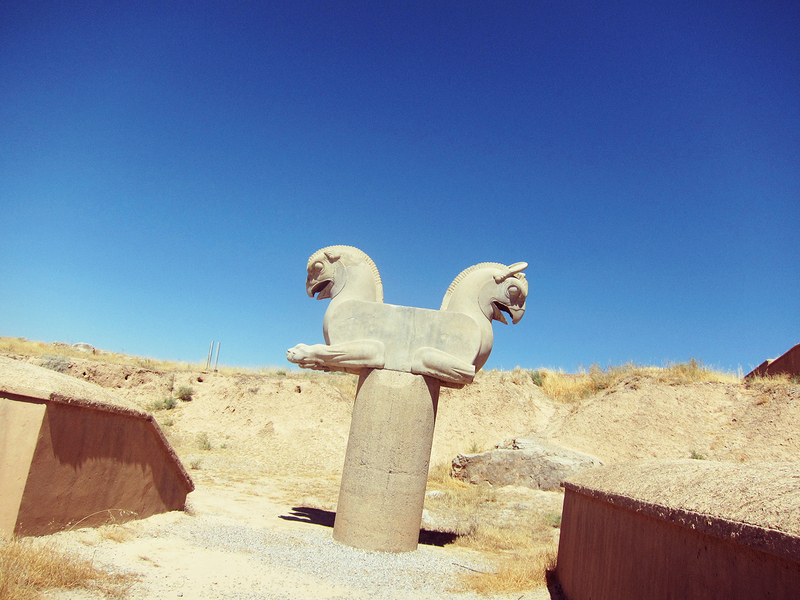 It’s the road to Persepolis, the capital of the ancient Persian empire, where as children, my brothers Cyrus and Darius and I ran around the pillars of palaces and climbed the statues of the mythical Zoroastrian beings built by our namesakes. 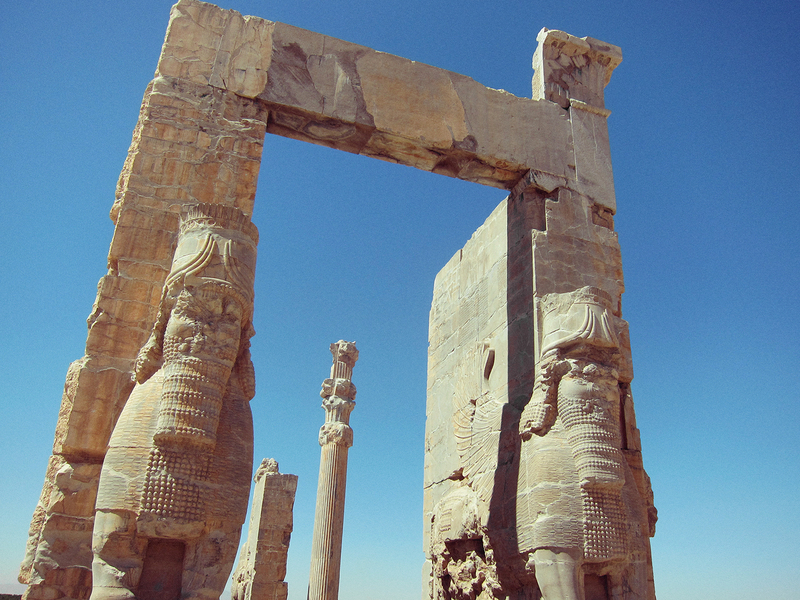 Now, half a lifetime later, we park at gates 50 meters in front, and walk Persepolis’s stony perimeter. The moon is low in the sky, and our silhouettes cast long shadows, stretching to the tops of the 2,600-year-old ruins. Surrounded by silence, there’s only a solitary guard in sight. “I never thought we would come here at night!” Erika shouts to me from a distance. We think of what our friends are doing elsewhere in the world, imagining them getting ready for work or still out late at night, and we marvel at the moonlit view. We soak up the moment, run our hands across the polished bricks, and gaze up into the night sky. I would rather be here now, with my wife, than anywhere else in the world. The following afternoon, we make our way to Shiraz’s airport to catch a Gulf Air flight to Dubai before connecting to London. 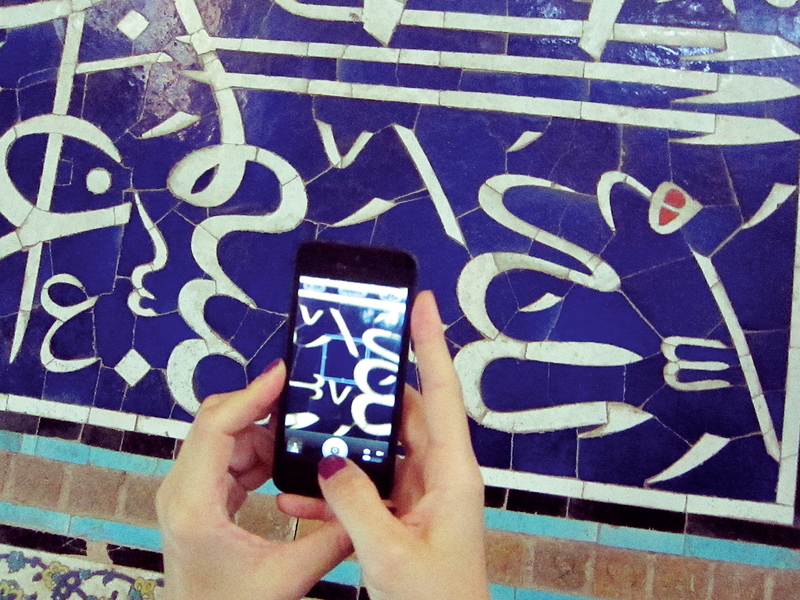 I turn and ask Erika what the highlight of her week in Iran was. She takes her time before replying, pawing at the headscarf she’ll soon take off. “I get it now.” “What do you mean?” I ask. “You know…” she says, waving her hand out the window, catching the warm breeze one last time. “It.” Perhaps only now does she get me. Some names have been changed in this article to protect the privacy of the individuals involved.